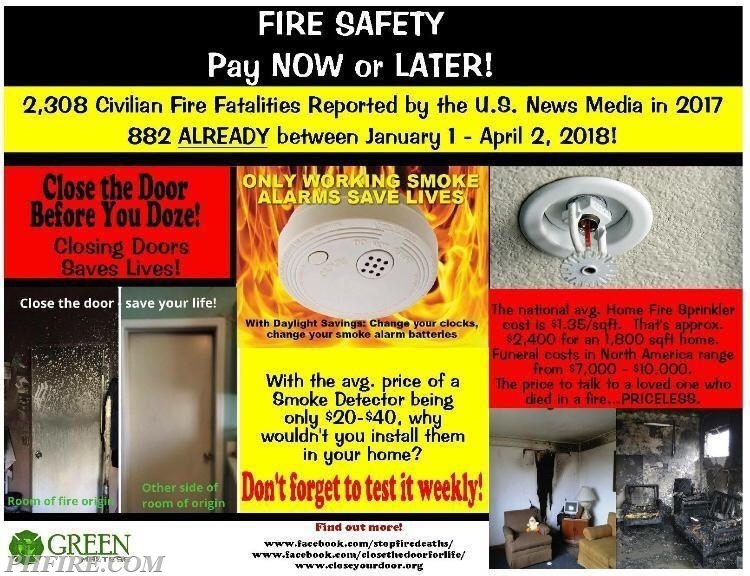 Are you taking basic fire safety precautions? We just changed our clocks for Daylight Saving Time. Did you change your smoke alarm batteries? Do you keeo the bedrooom door closed? It's a must - second count!